Surya and Director Hari produced a formulaic hit in 2010 (Singam) which was one of the best entertainers. But Hari’s next Vengai bombed at the box office and criticized heavily for Hari’s sterotypic film making. Yet, Surya believes that he can recreate the magic again with the help of Hari. Hari is also determined to do the best with a powerful script this time. 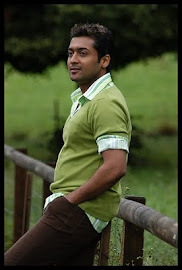 Surya and Hari will go on shooting in January 2012, it is believed. Producer KE Gnanavel Raja for Studio Greens is likely to produce the film the shoot of which will take place in Tirunelveli, Hari’s favourite shooting place. Surya is all set to play the role of a Gangster in this new movie.